Olive Garden® delights guests with a genuine Italian dining experience, featuring a range of fresh, simple and delicious dishes, including many inspired by our Culinary Institute of Tuscany in Italy, and an award-winning wine list. 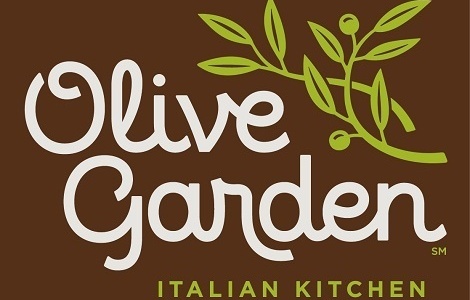 For the restaurant nearest you, please visit us at www.olivegarden.com. Order your Olive Garden Canada gift cards today! Your purchase, use or acceptance of this Gift Card constitutes acceptance of the following terms and conditions. This Gift Card is issued by and represents an obligation solely of Darden SV, Inc. (“Darden”). Each time you use it, we’ll deduct that amount from the balance until you’ve used the full balance of the card. You can add to the card balance at any time. (1) Except where required by law, this gift card is not redeemable for cash. (2) We can’t replace it if it’s lost or stolen. (3) Valid at any participating Darden-connected restaurants in the U.S., including Olive Garden, LongHorn Steakhouse, Bahama Breeze, Seasons 52, Yard House or Red Lobster. (4) Approval required to advertise this card. © 2014 Darden Concepts, Inc.